Get higher quality, more accurate location data – and a safer, more profitable fleet – by choosing the right location services provider. The true value of a location platform comes from bringing together multiple data sources and presenting them in a meaningful way. Using a platform approach, you can help customers differentiate their service, increase margins and increase safety. 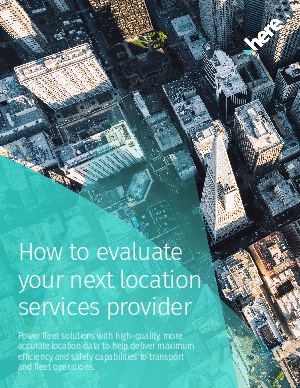 So, in this guide, we cover the four key considerations for choosing a mapping and location service platform to ensure a high quality, accurate mapping service for you and your customers.